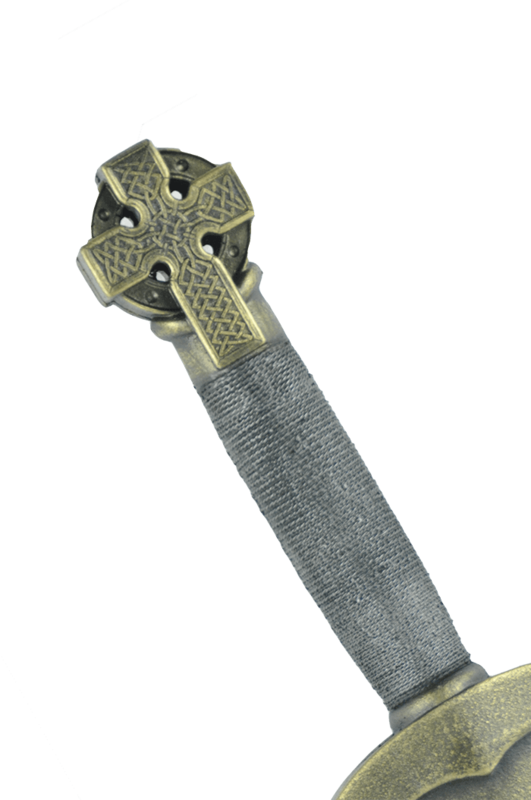 Intricately carved and beautifully detailed, the Celtic Dagger is among the finest of any small blade ever made. It is sturdy - with a practical, proven design, a wide hilt for blocking, and a solid pommel for striking. The blade is strong and elegant and ready to serve its owner with style and deadly grace. The standard color is gold on silver. Here's a close-up of the hilt and pommel.